This beautiful shawl features a circular cut and is specifically designed to stay on the shoulders easier. 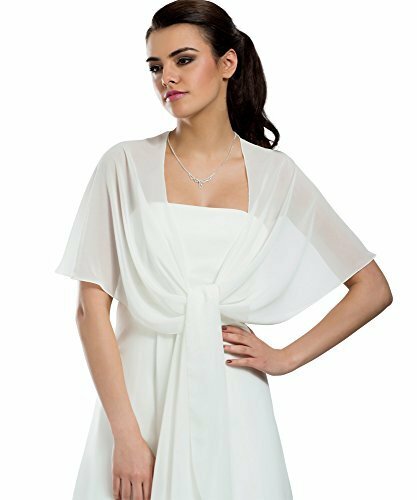 The chiffon material flows nicely and lays pleasantly soft on your skin. Different ways of tieing it give you several options for a look: loosely around your shoulders, tied in the front, or even tied in the back for a handsfree bolero look. Perfect for your wedding dress, evening/prom dress or ball gown.